1. I know Lent started last week, but this week felt like Lent was really underway. I am loving the conjunction of Ash Wednesday and Valentine's Day! For me, this Lent is all about seeing how God loves me, and how I can better love Him. That started on Ash Wednesday when he sent me these beautiful little crocuses, springing up all over my yard! 2. We had our first Gospel Dessert on the first Sunday of Lent. The Gospel was Mark's super short description of Jesus in the desert: he went, he was hungry, he was tempted, the angels ministered to him. Alrighty then! We did an angel food cake with clouds of whipped cream and rainbows as a nod to the first and second readings with the covenant of Noah. The Zoomlians were remarkably enthusiastic since they hadn't had dessert in... 4 or 5 days. 3. My younger kids' science class, Kids' Astronomy started! This isn't exactly a picture of that, this is a picture of the same class I did 4 years ago when I still remembered to get pictures. The kids just drew dots on an empty balloon and then inflated it to simulate the expansion of the universe (everything is moving away from everything else in at least three dimensions). And then used their balloons to make funny noises because, why not? 4. We went straight from snow and ice on Sunday to 80 degrees and wading on Wednesday. Fortunately, the class was on Tuesday when it was a delightful 75 degrees and breezy. This was super nice since this is the one class (besides the rocket launch) that must be done outside. We do a scale model of the solar system where the Earth is a grape and the sun is my son (Zorg, about 6 feet tall) and a tenth of a mile away. If you're curious, Jupiter is a grapefruit half a mile away, and Neptune, the last of the true planets is 3 miles away. But on this scale, the entire solar system, Kuiper belt, Oort cloud and all is 10,000 miles across! For us that stretches from Hawaii to our west to Italy in the east. Space is big. 5. I also had my portfolio review last Wednesday, so we officially closed the fall semester. This was delayed from the usual January because of my TIA. Unfortunately, the combination of the odd timing and the 80 degree day made it feel like the close of the spring semester, so now I feel like school is over. It's a problem. 6. Klenda trimmed quite a bit off her hair (don't worry, I didn't leave her half done! ), which made it all wavy again. Sort of a fresh start to almost spring. Very pretty! 7. We also started up Awesome History again! We are on the third of three for Awesome American History and I just love it! This is something I've been doing with a couple of very creative and very fun friends (and their kids) on Friday mornings. We all read a few chapters separately, then we come together to do an art activity, an active activity, and a snack based on what we read. This week we read about the Itidarod and made these neat husky faces (among other things). But it's also become a fun social time for moms as well as kids, and a great way to wrap up a week with a lot of fun, support, and laughter. Here's hoping you have a great weekend, more fun with Kelly! 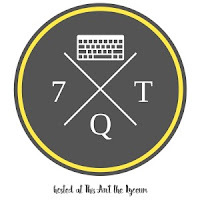 I love your seven quick takes posts. Lots of interesting news! Wow, doesn't the weather change quickly at times? Talking about weather, it's the first day of autumn here. The days are already getting noticeably shorter. I guess you're looking forward to summer now that you've had a taste of almost spring. Klenda's hair looks very pretty. Sophie is going to have her hair trimmed tomorrow. I don' have your hair cutting skills so she is going to the hairdresser! I hope all is well with you. God bless! That's right, Sue, autumn is your favorite season, isn't it? We have been having cool weather again, but, sadly, no big snows this year. We have daylight savings time starting soon, so we'll be losing an hour. I think that means you'll be gaining an hour? If so, enjoy the extra sleep!